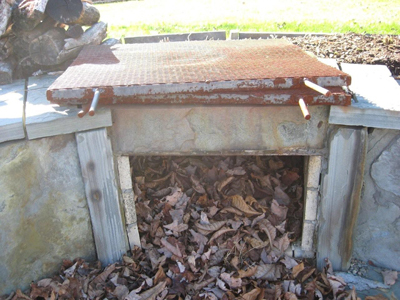 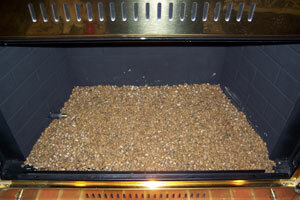 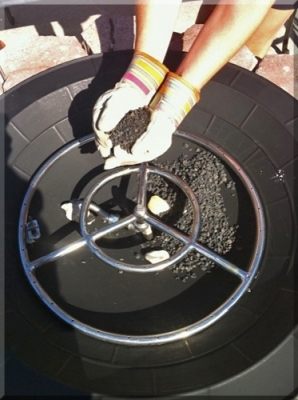 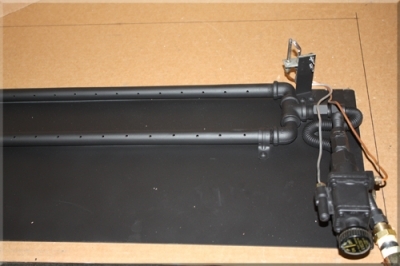 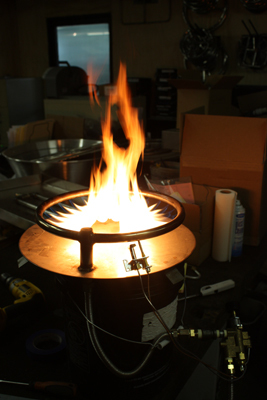 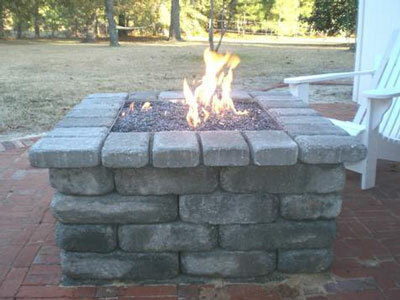 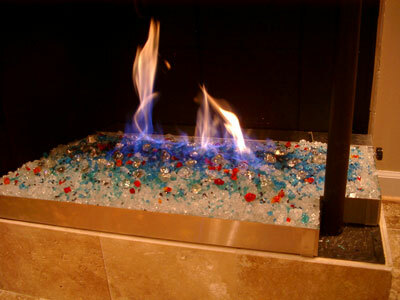 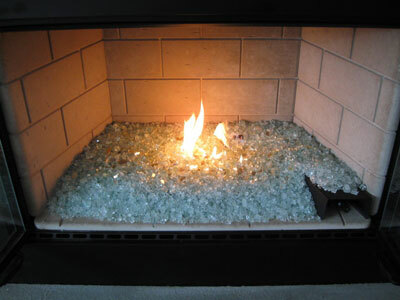 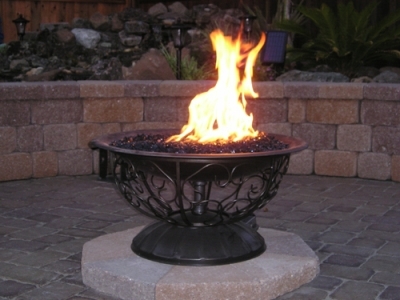 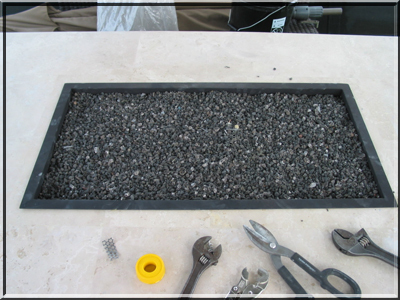 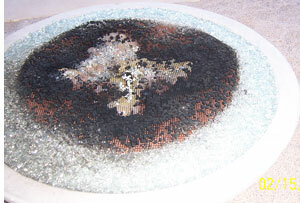 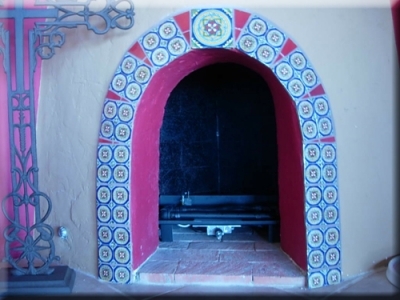 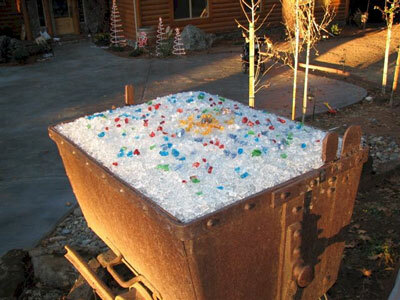 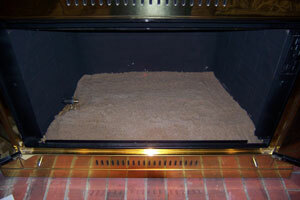 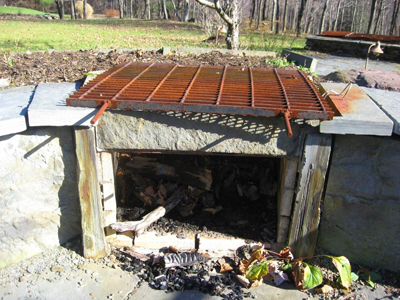 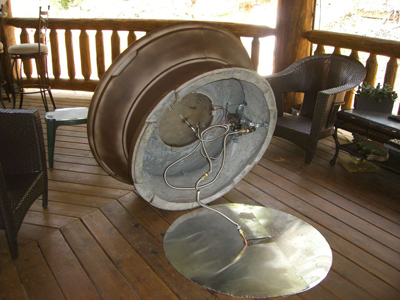 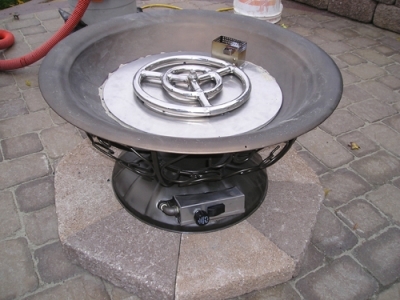 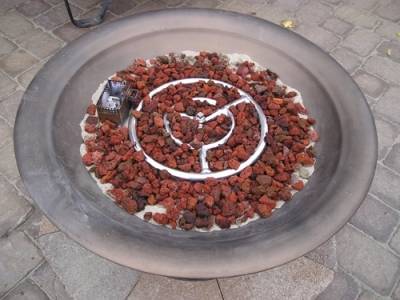 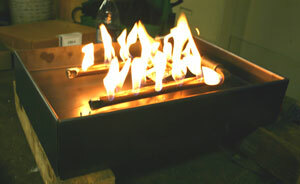 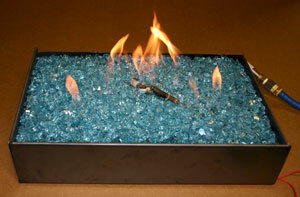 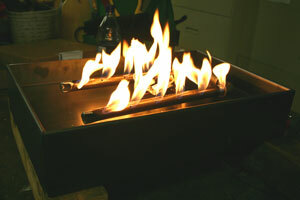 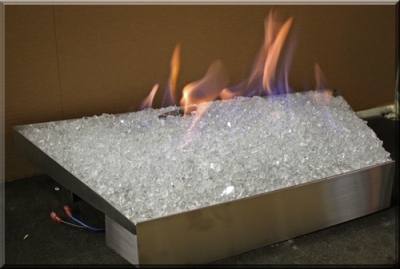 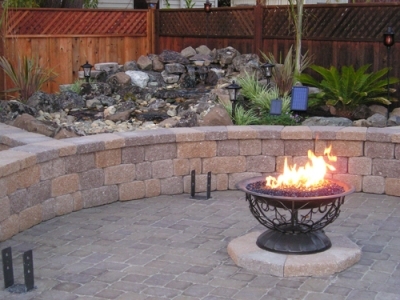 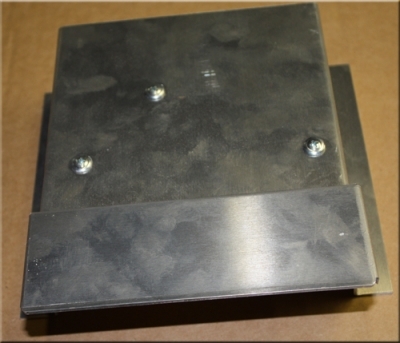 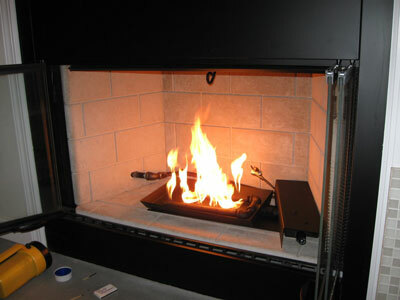 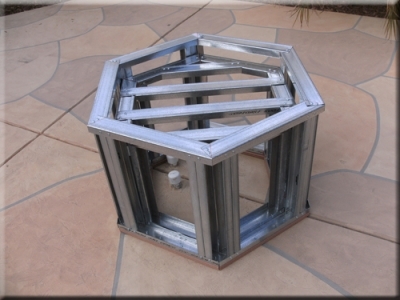 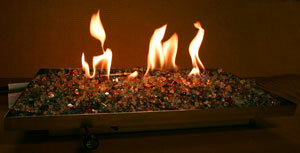 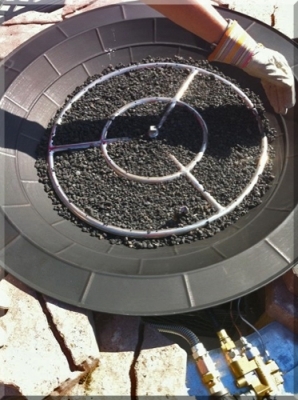 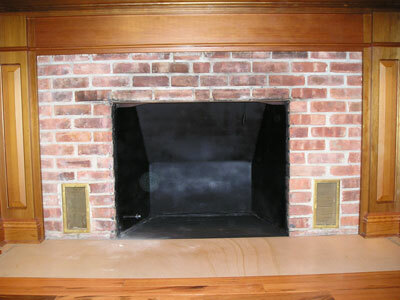 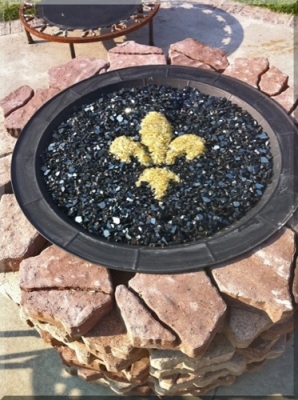 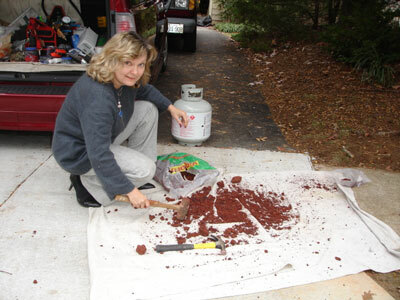 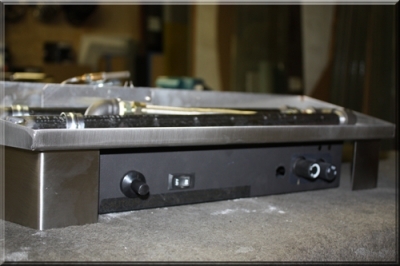 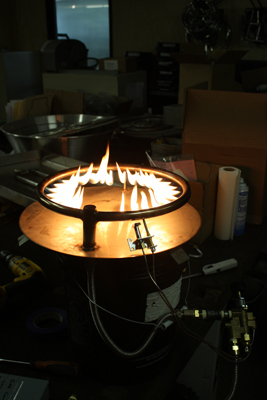 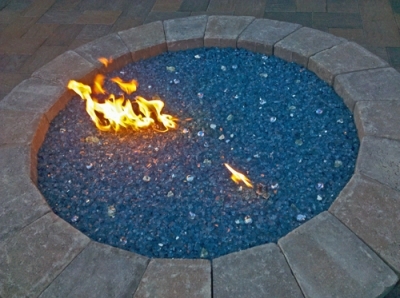 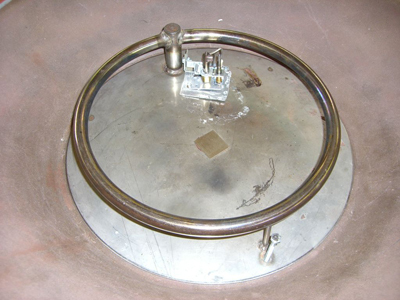 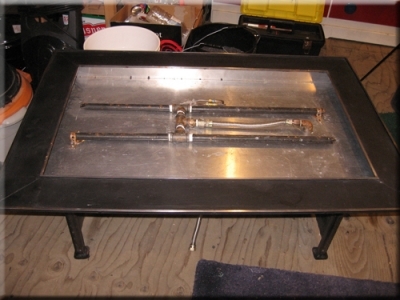 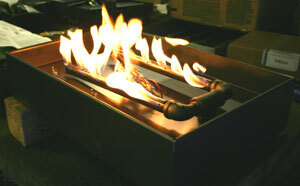 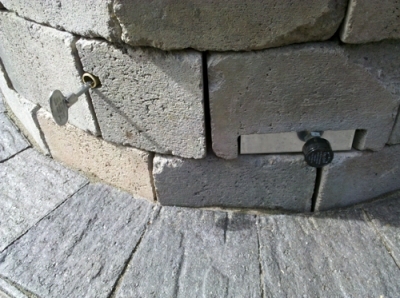 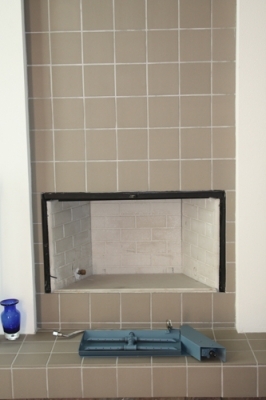 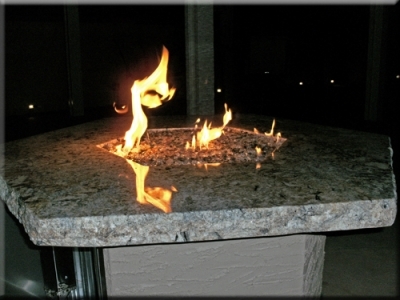 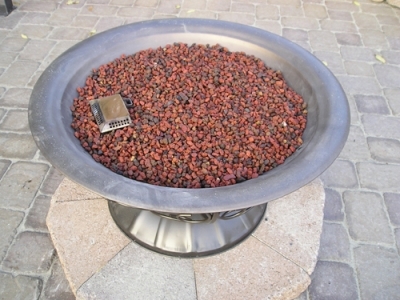 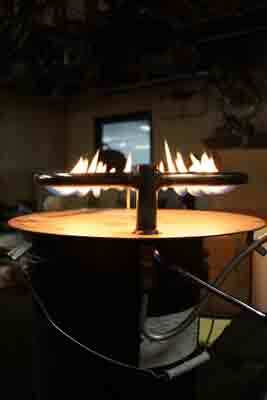 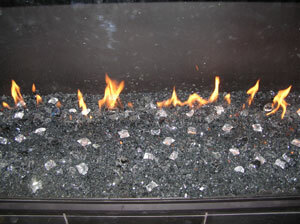 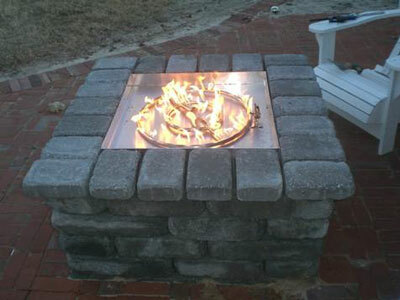 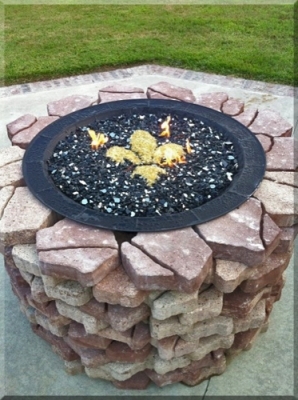 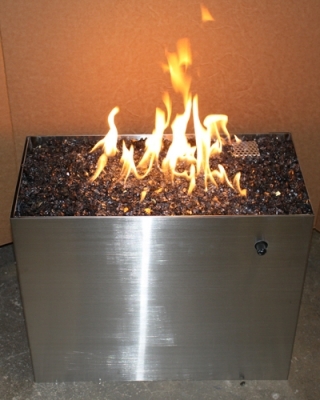 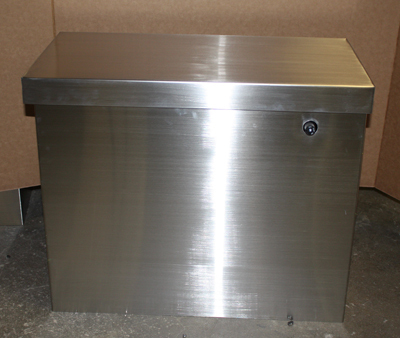 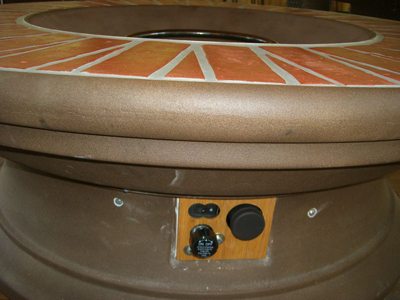 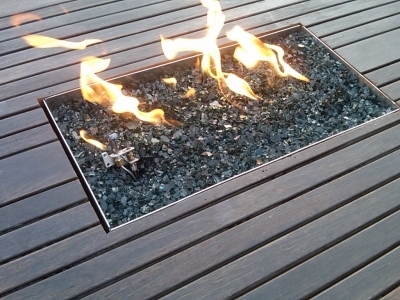 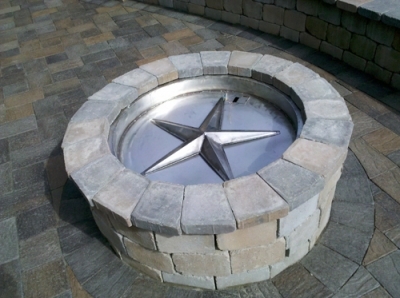 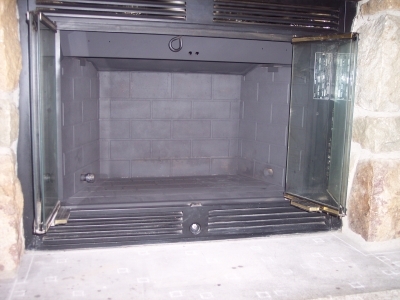 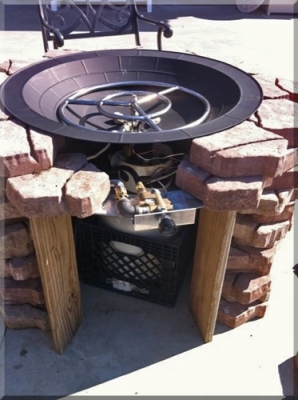 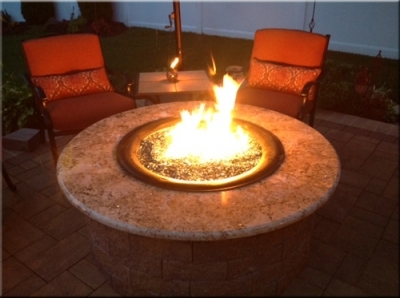 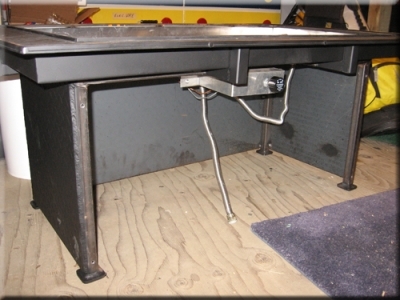 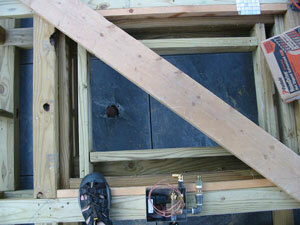 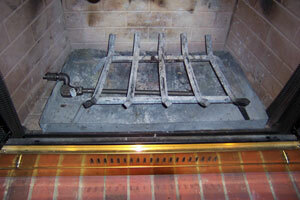 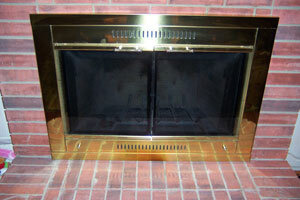 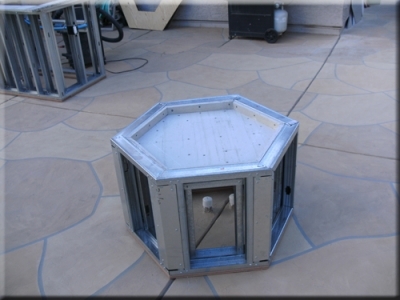 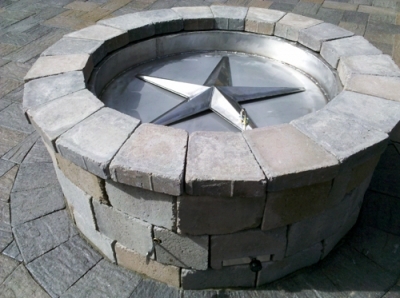 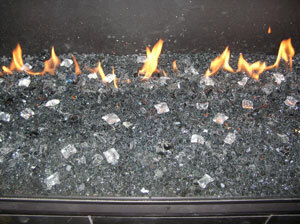 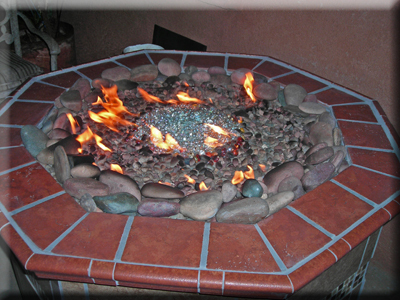 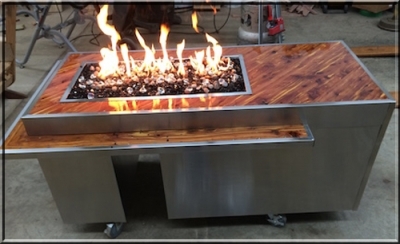 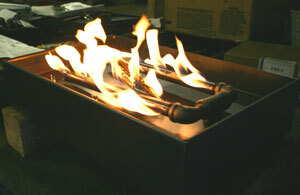 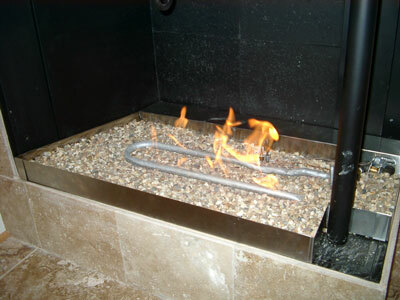 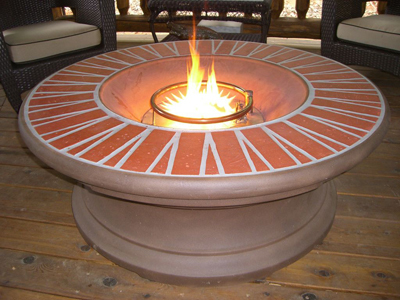 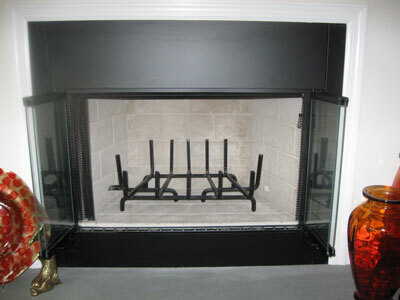 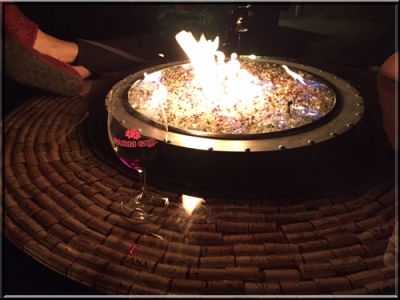 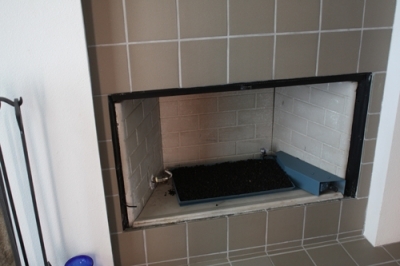 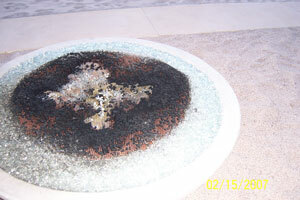 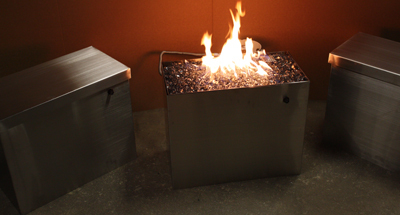 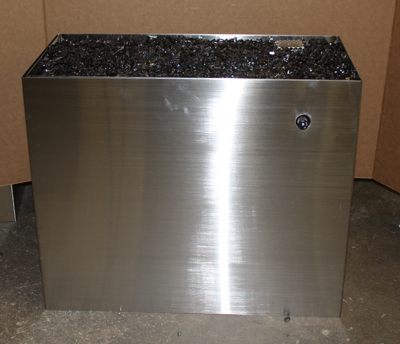 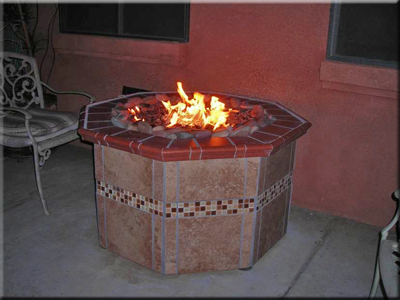 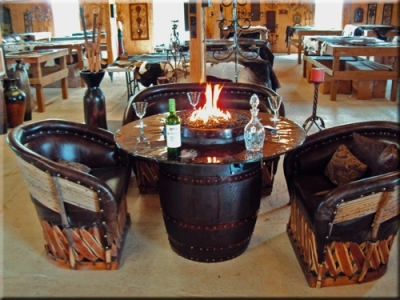 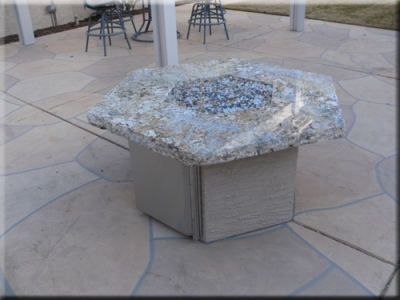 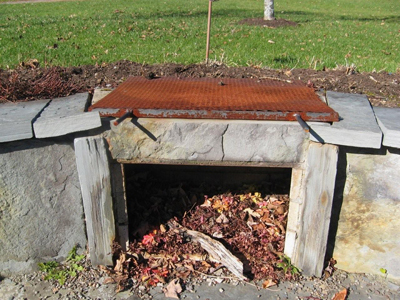 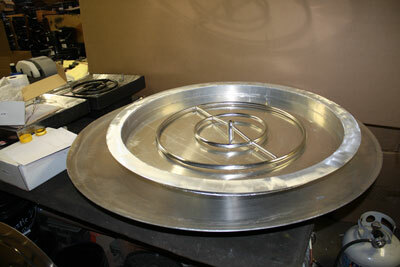 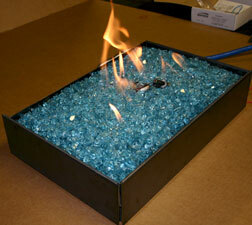 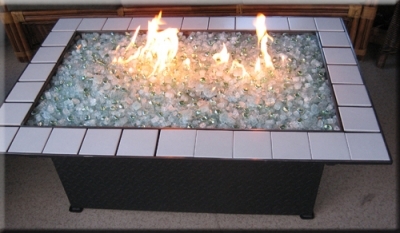 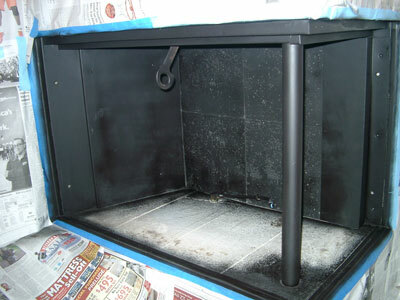 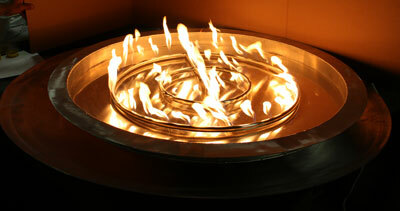 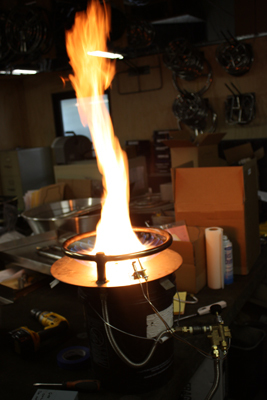 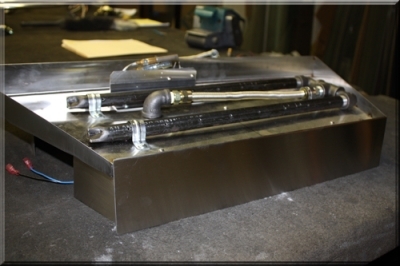 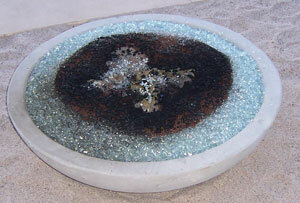 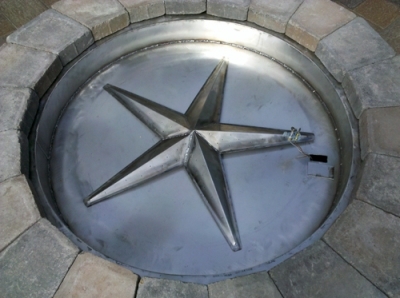 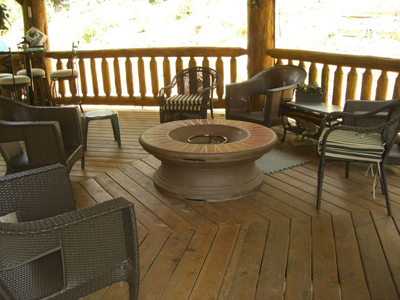 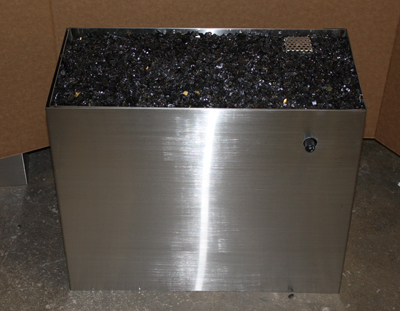 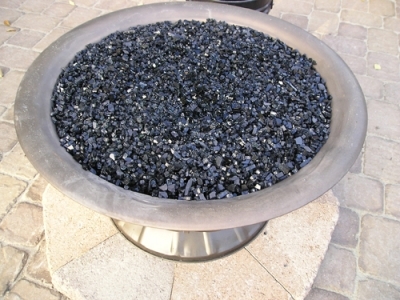 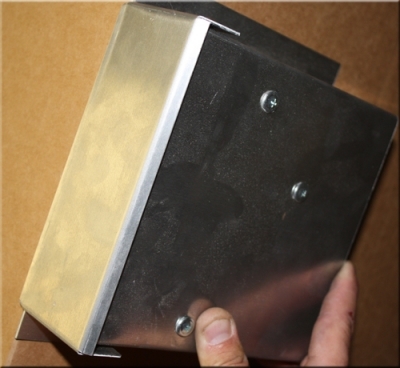 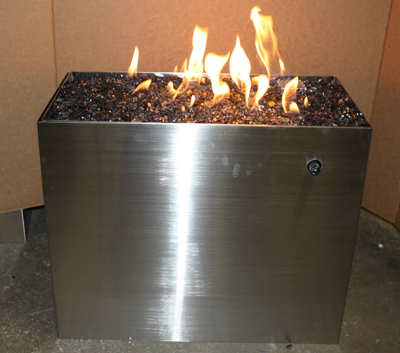 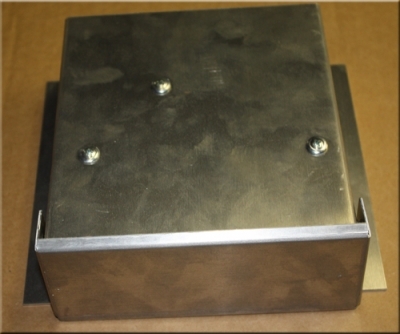 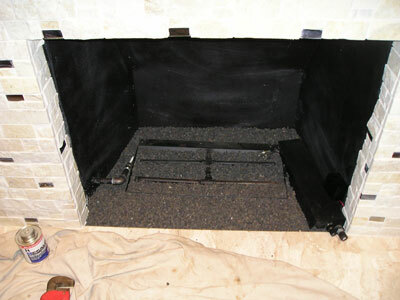 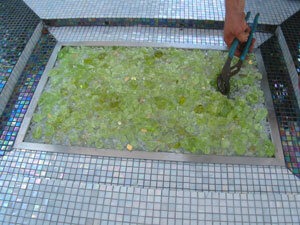 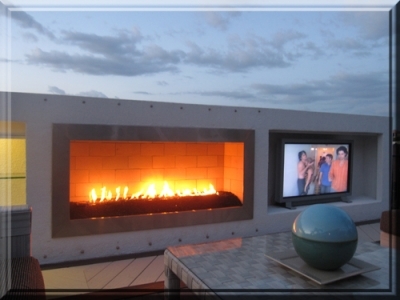 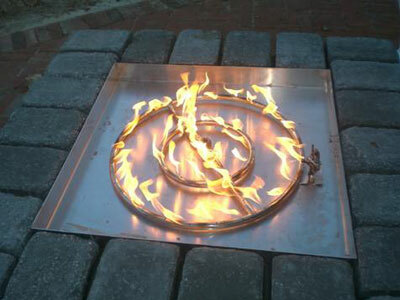 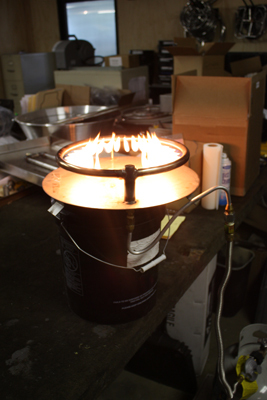 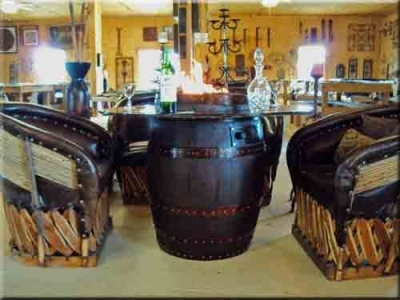 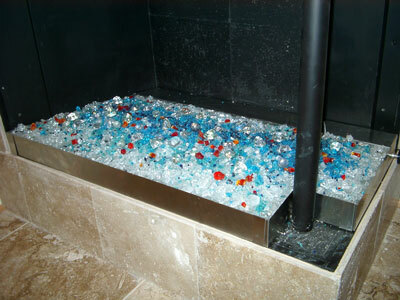 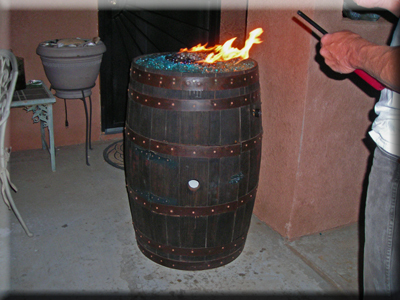 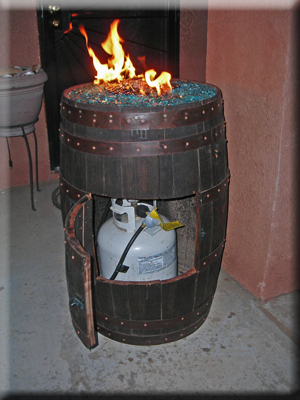 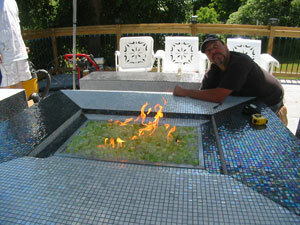 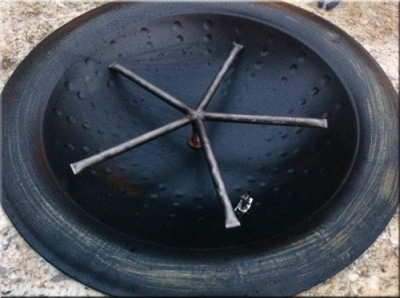 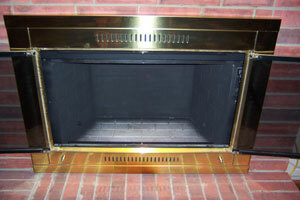 Custom size propane burner pan for fire pits fireplaces. 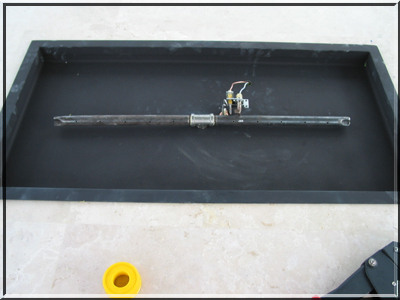 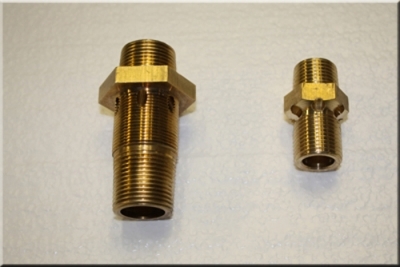 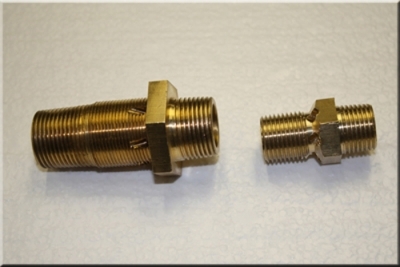 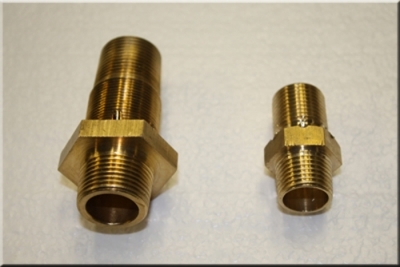 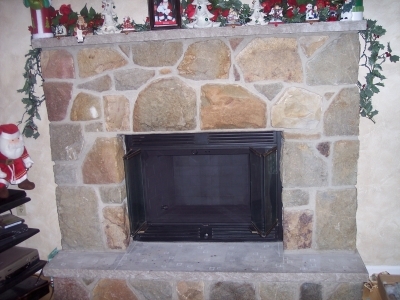 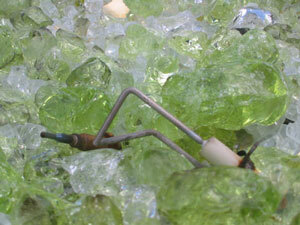 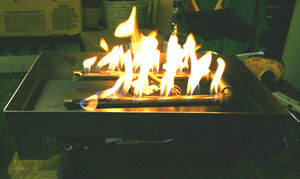 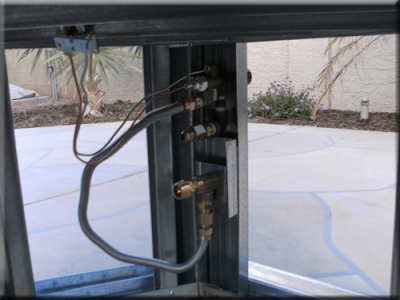 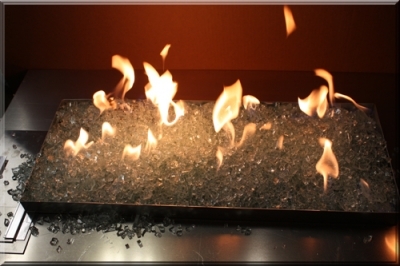 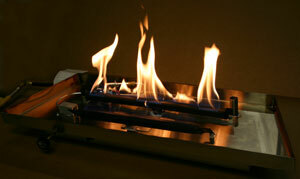 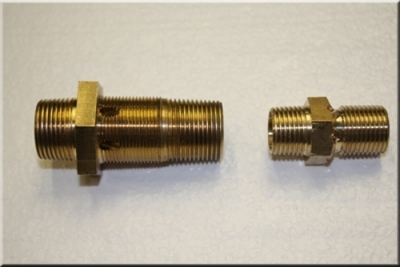 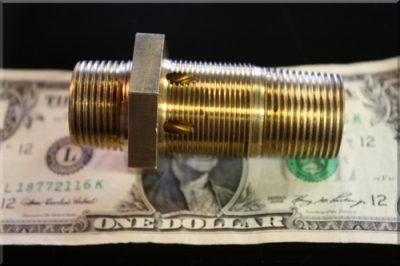 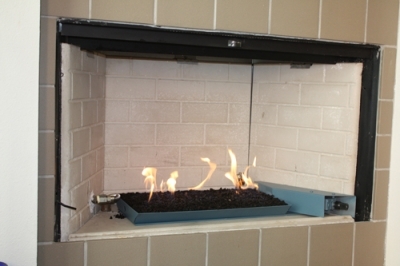 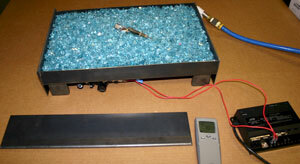 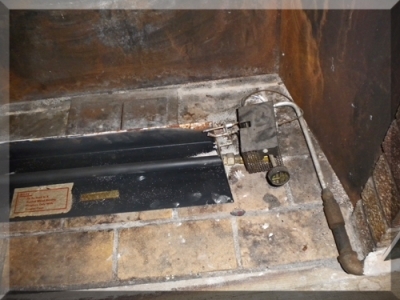 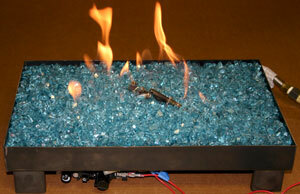 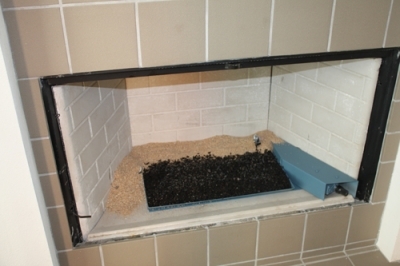 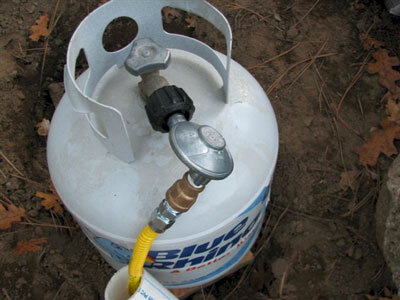 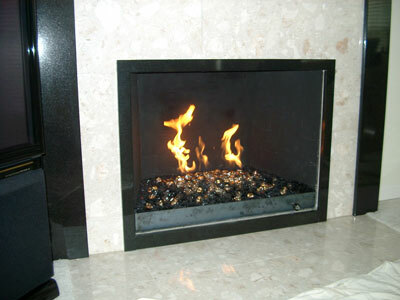 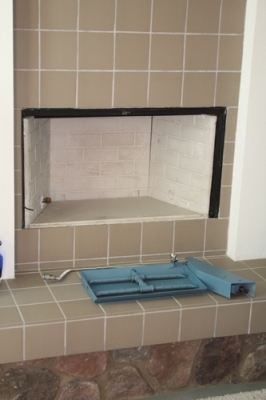 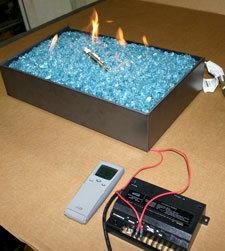 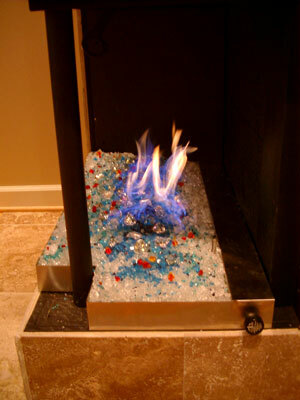 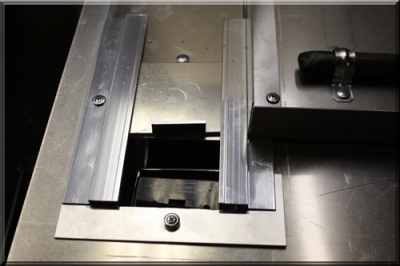 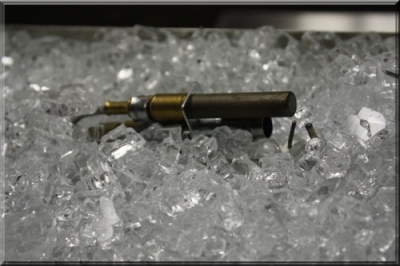 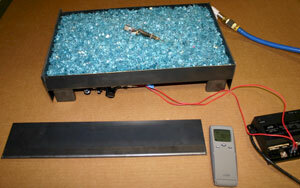 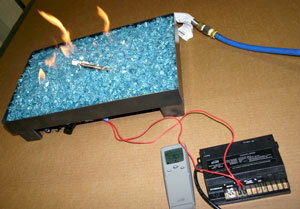 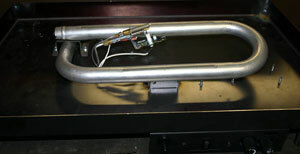 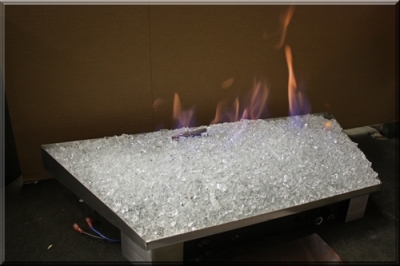 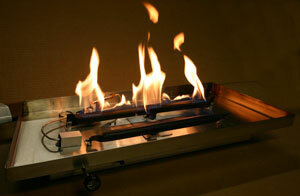 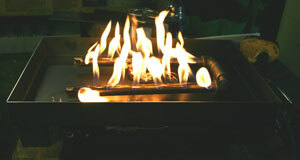 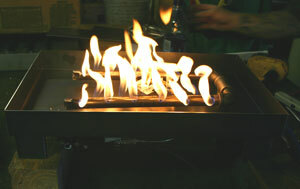 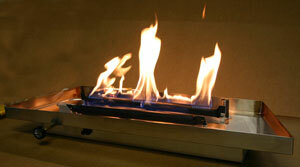 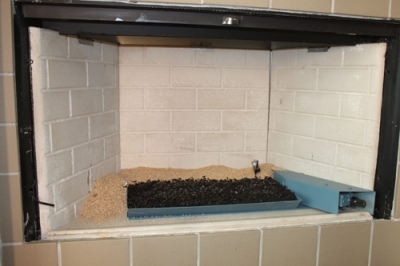 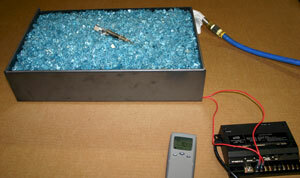 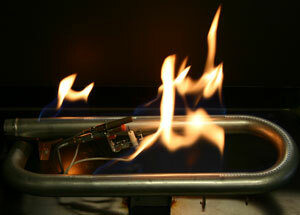 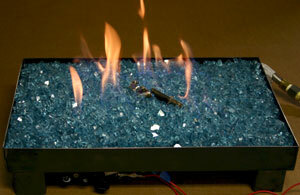 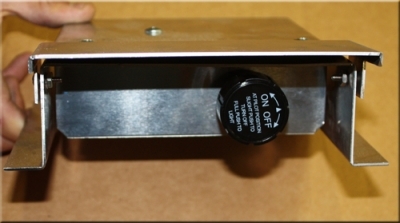 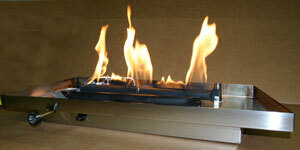 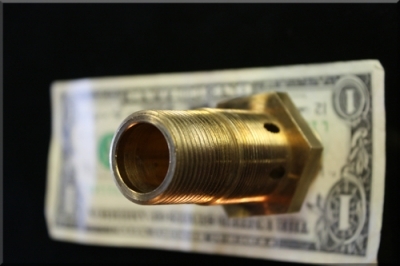 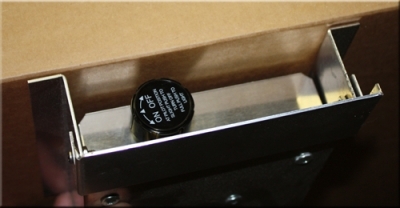 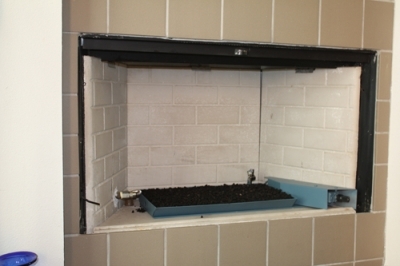 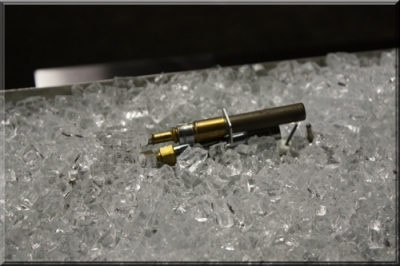 Propane ventless burner and or natural gas. 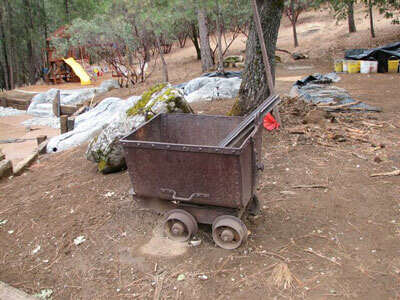 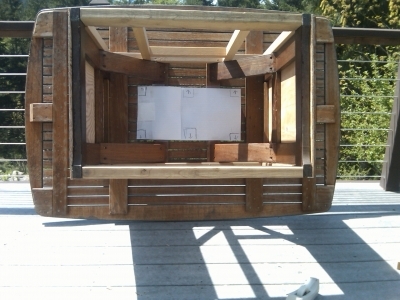 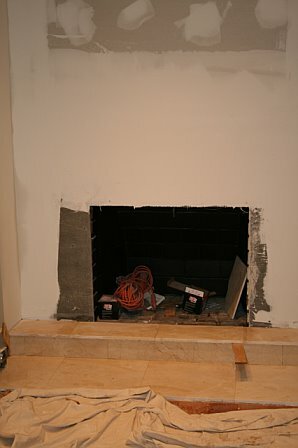 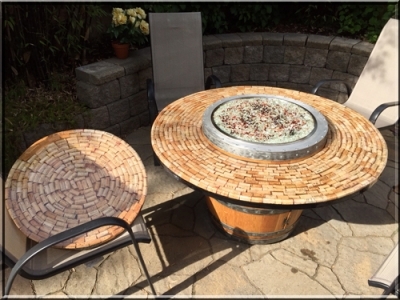 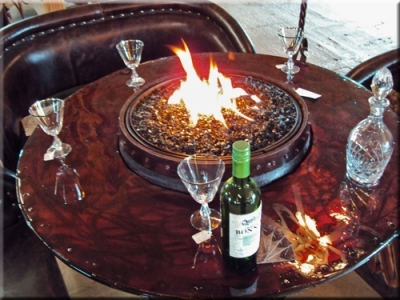 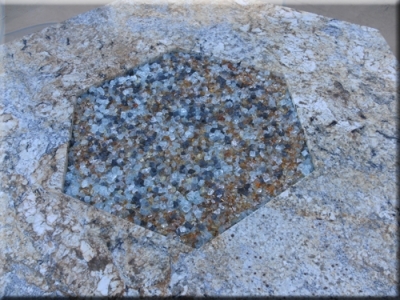 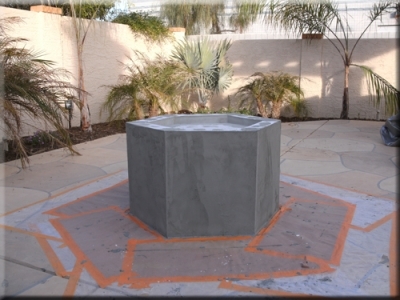 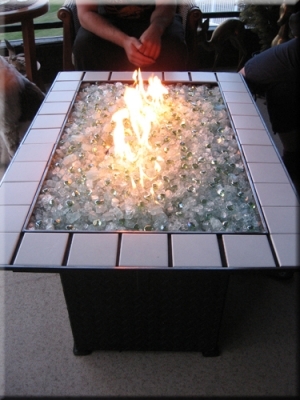 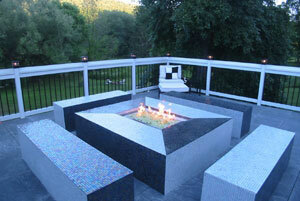 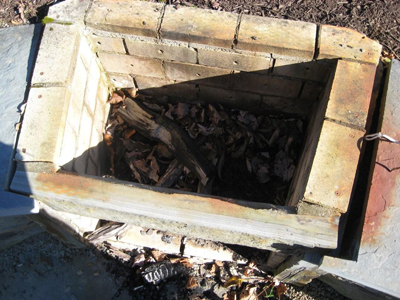 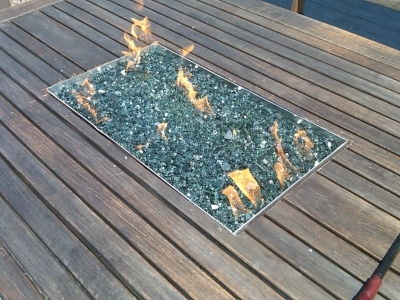 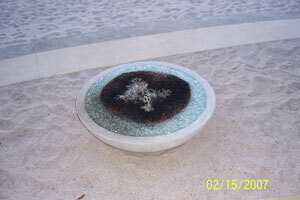 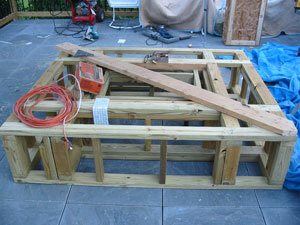 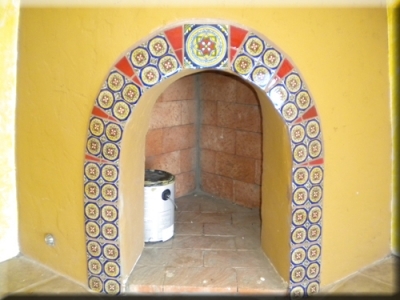 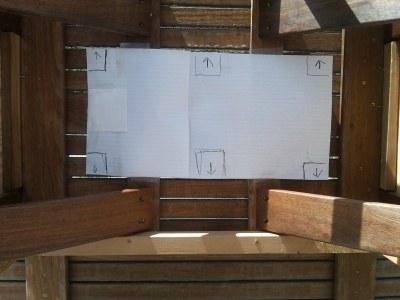 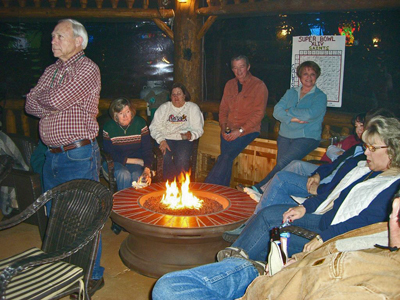 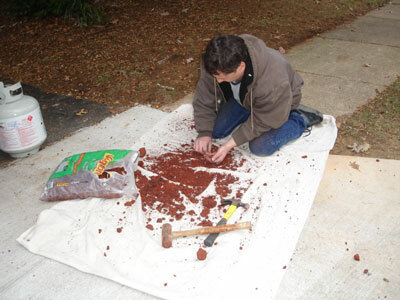 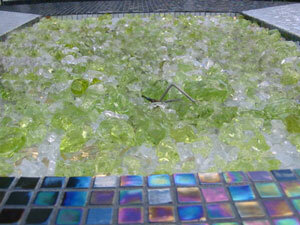 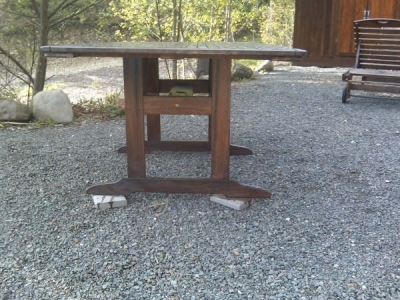 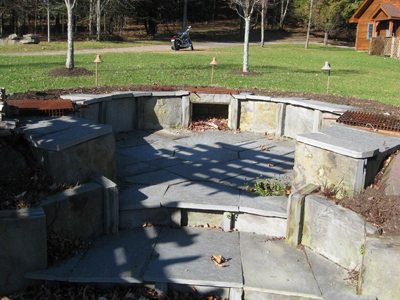 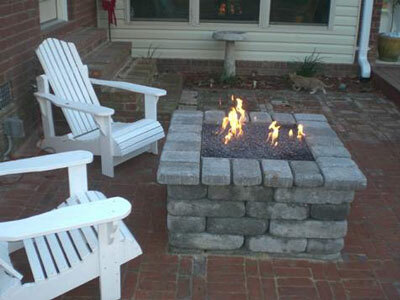 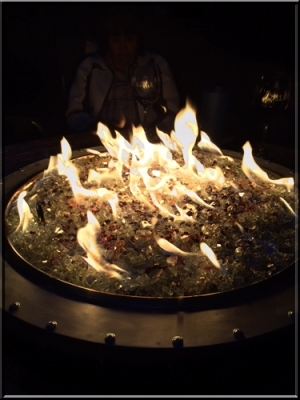 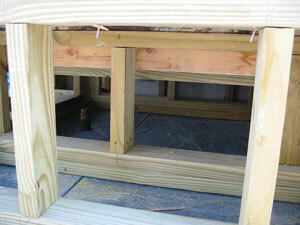 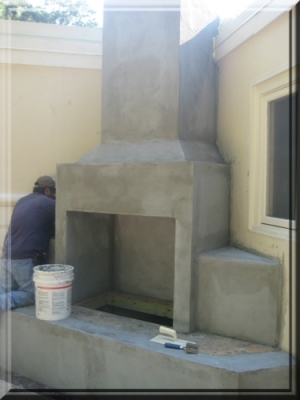 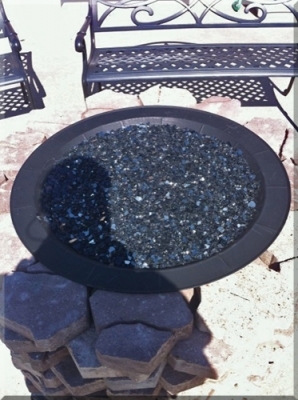 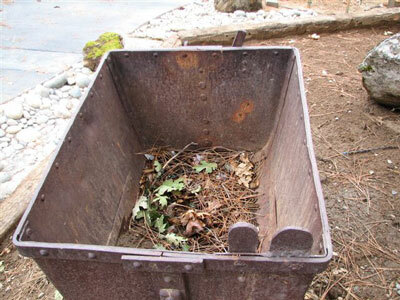 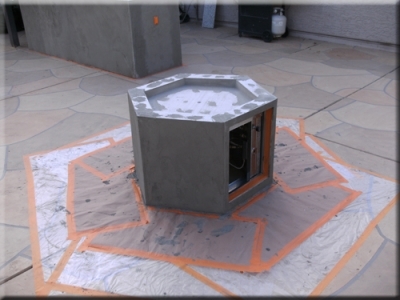 The fire pit/ table is at the Roxbury Hotel and we will show you the progress here from beginning to end. 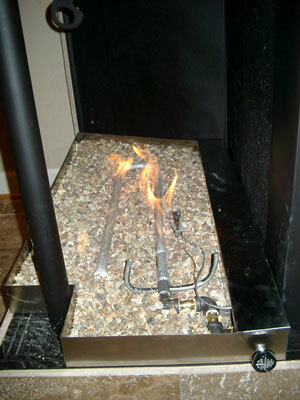 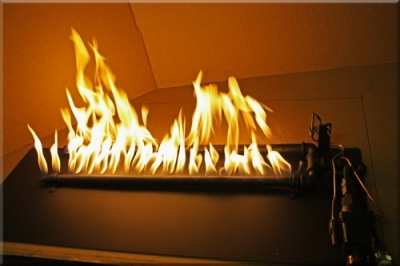 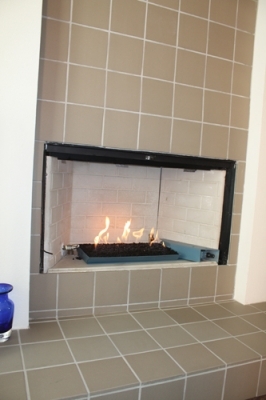 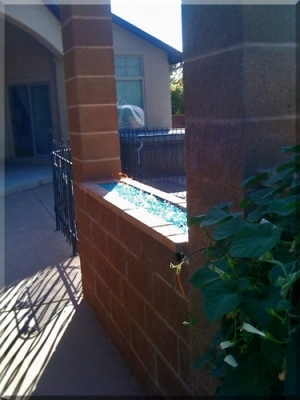 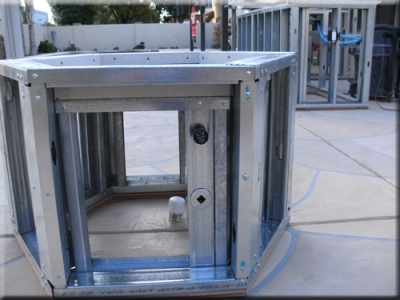 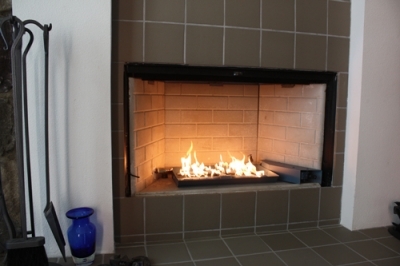 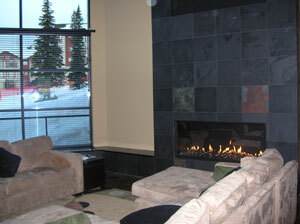 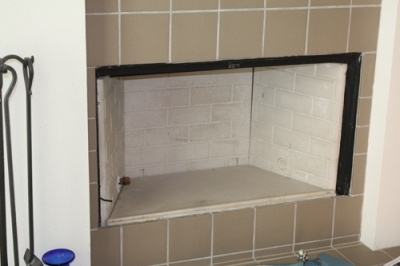 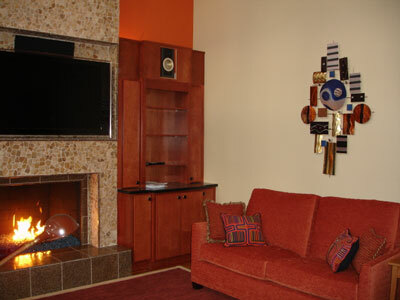 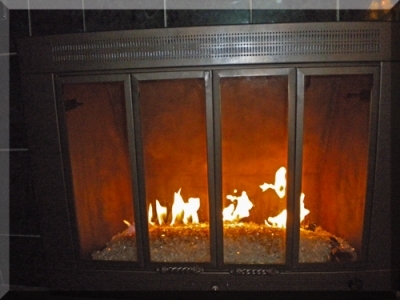 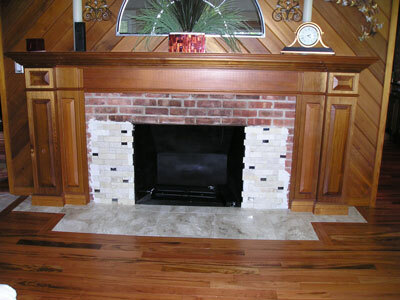 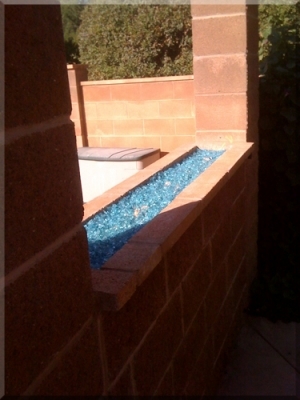 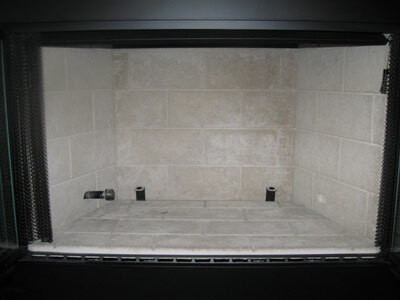 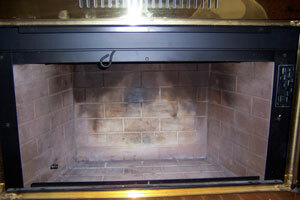 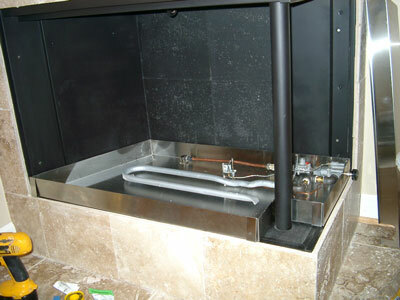 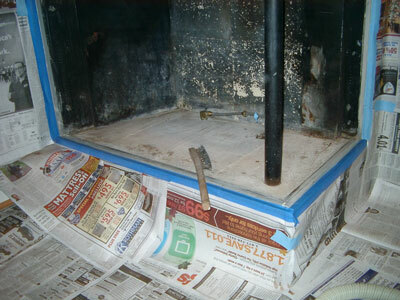 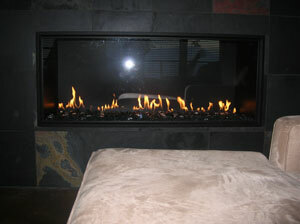 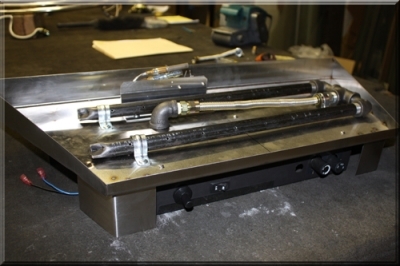 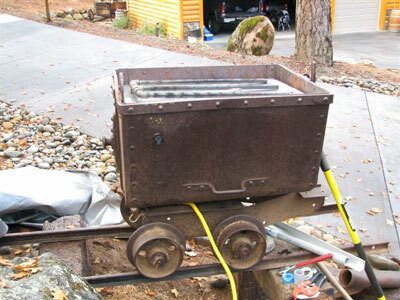 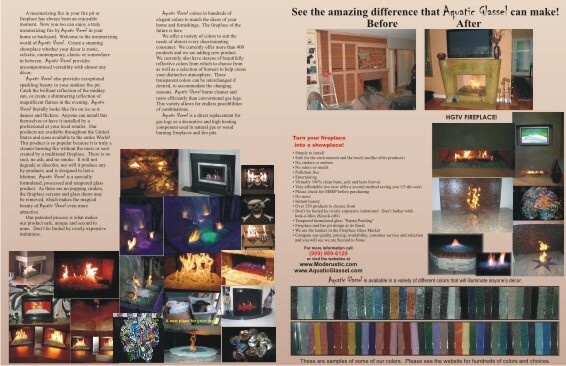 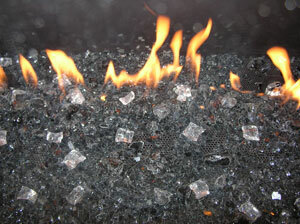 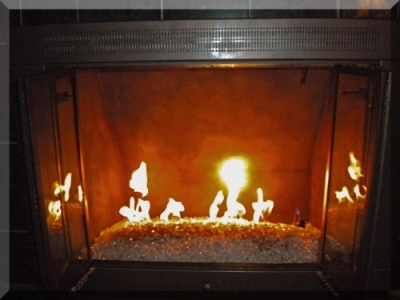 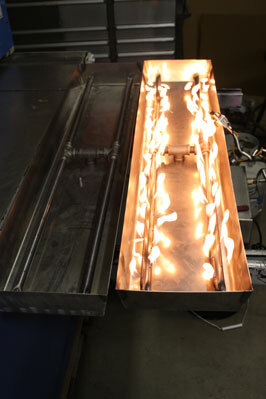 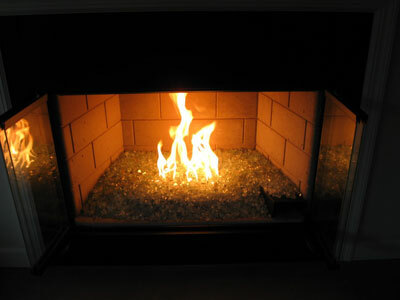 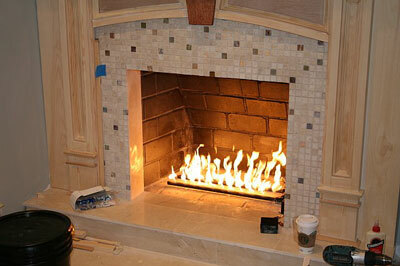 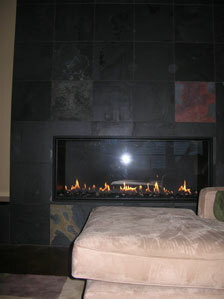 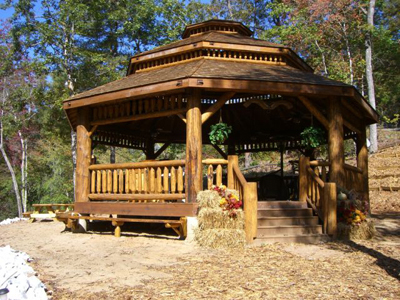 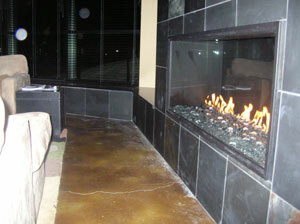 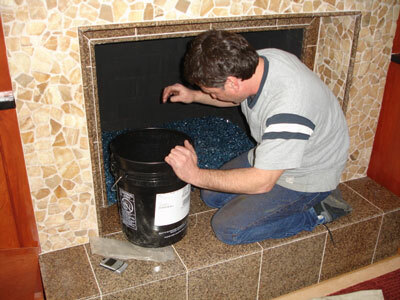 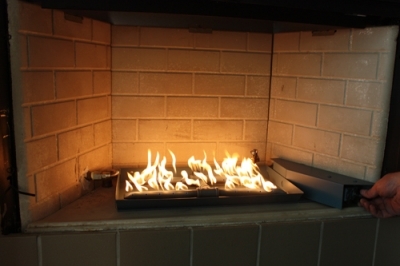 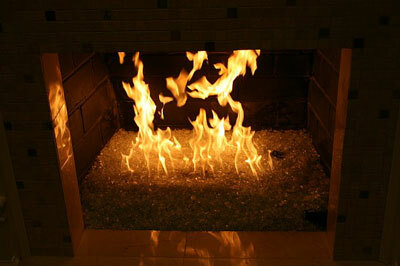 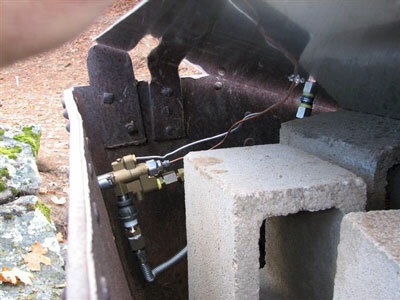 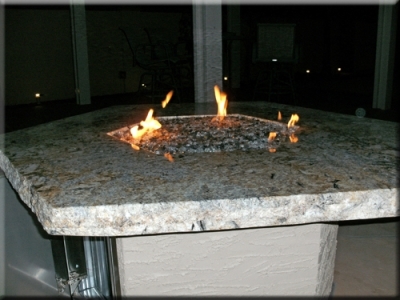 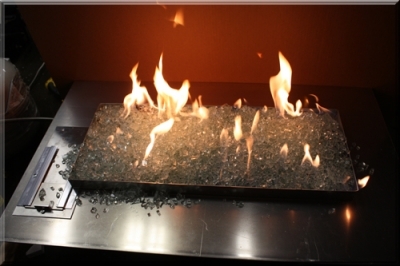 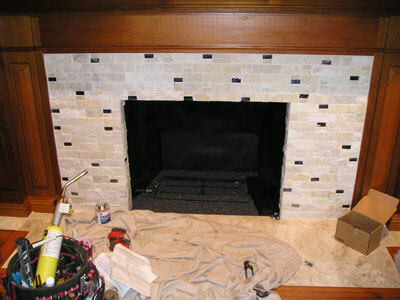 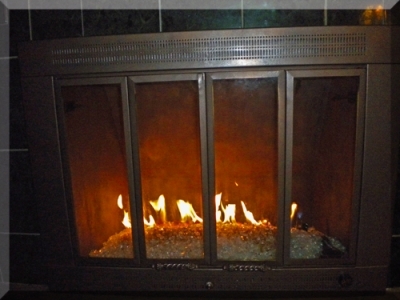 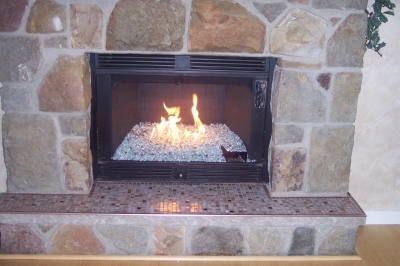 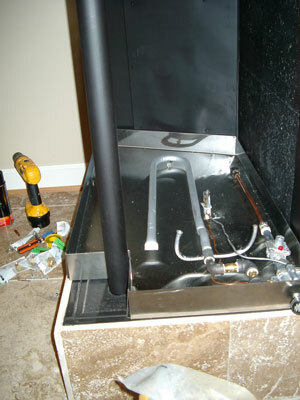 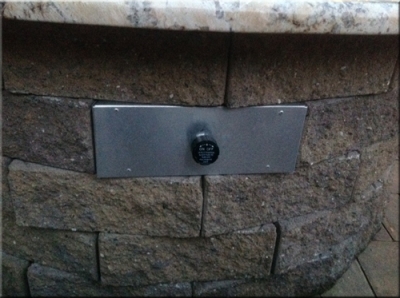 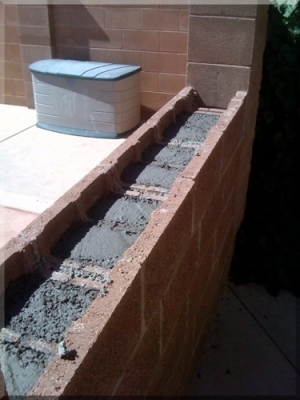 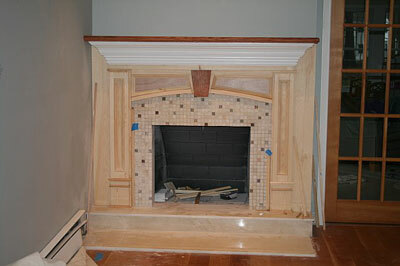 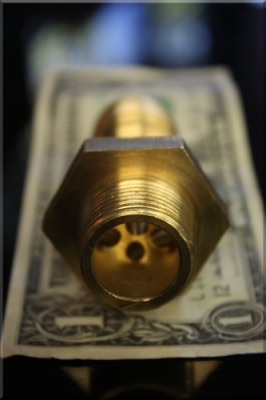 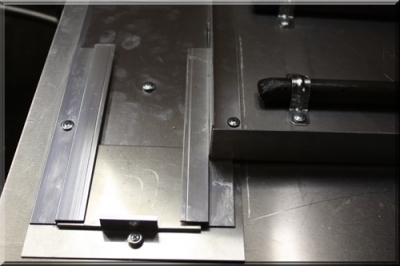 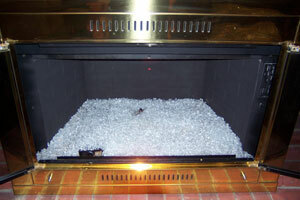 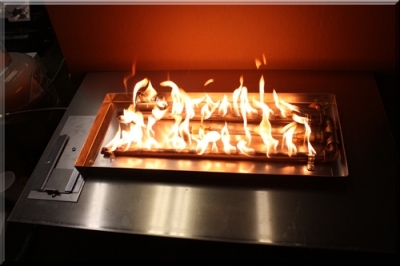 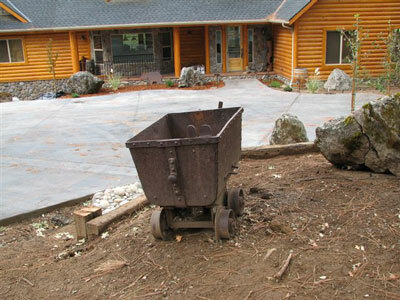 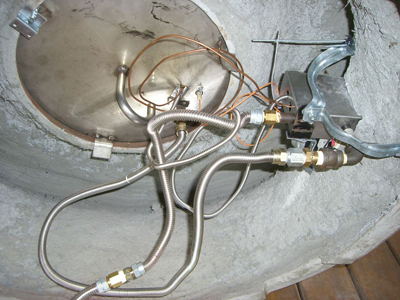 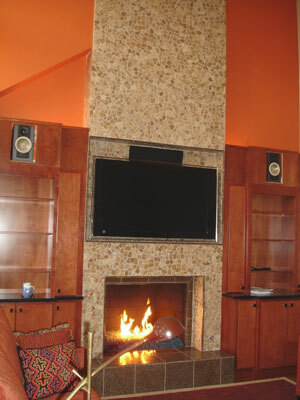 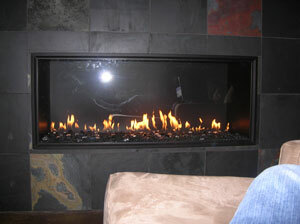 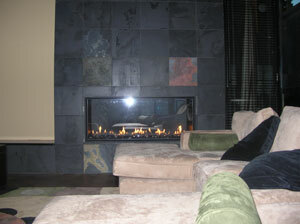 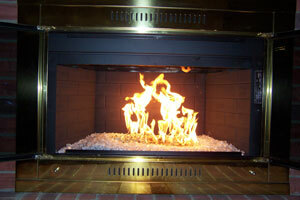 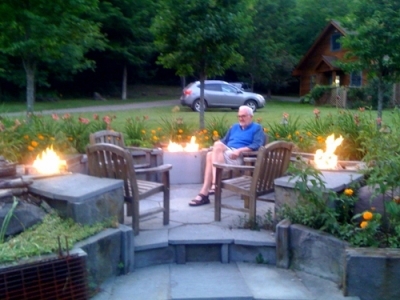 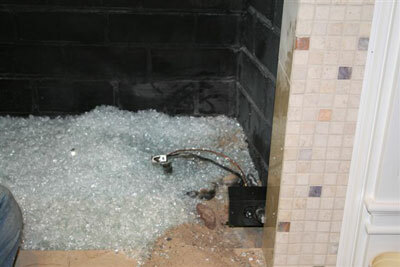 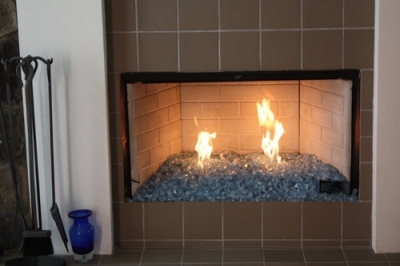 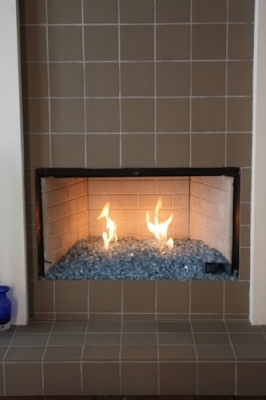 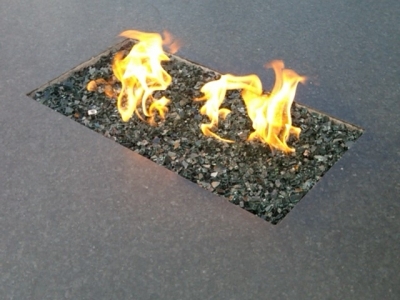 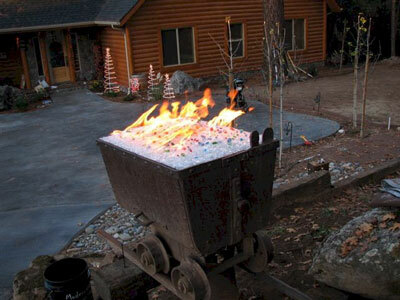 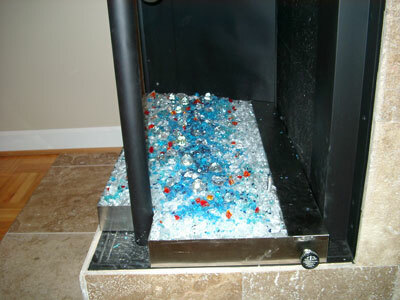 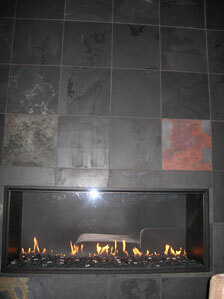 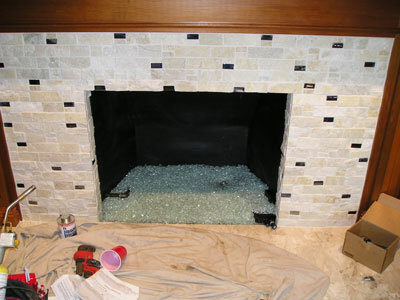 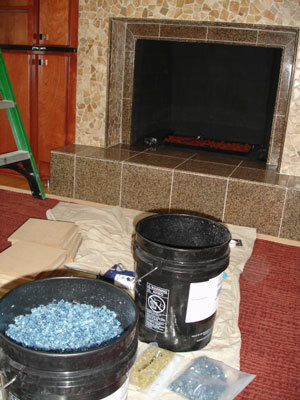 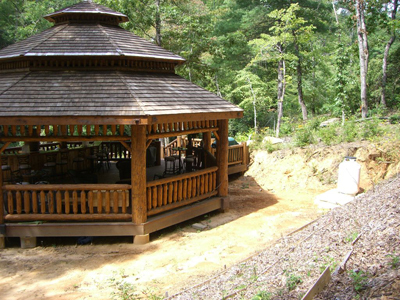 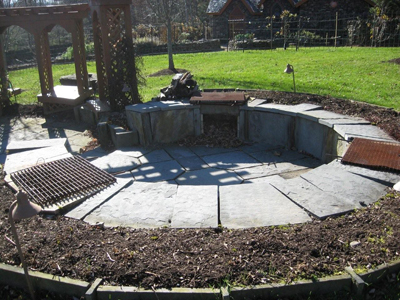 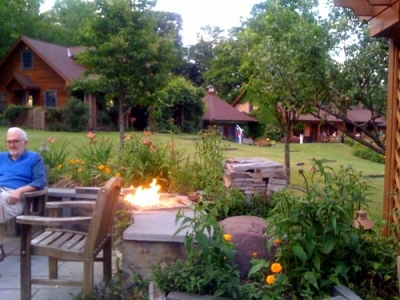 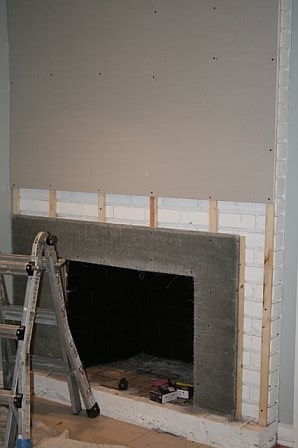 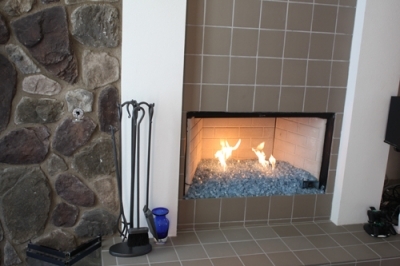 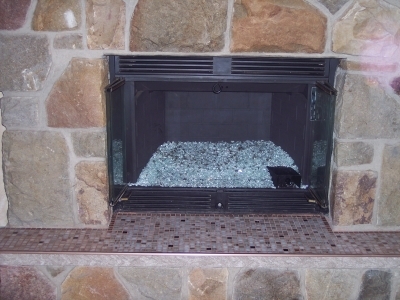 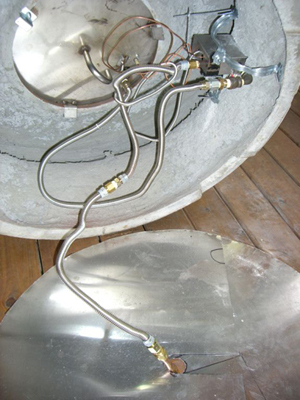 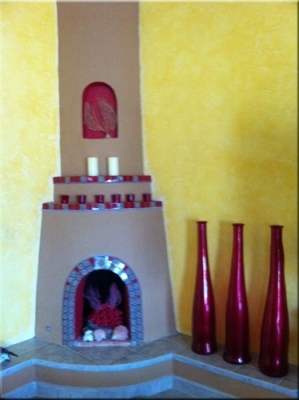 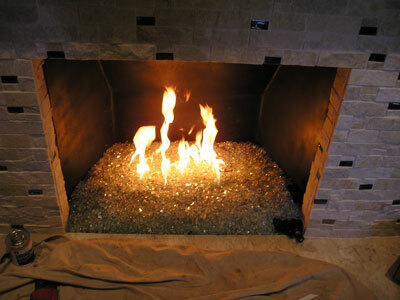 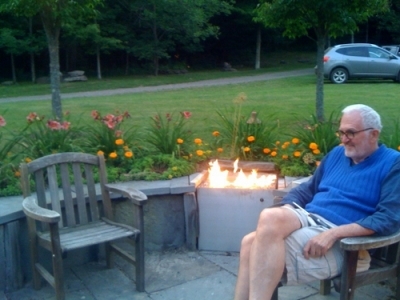 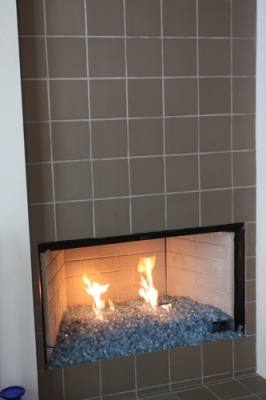 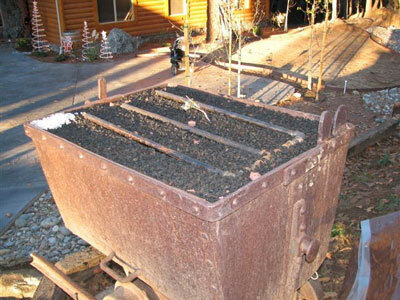 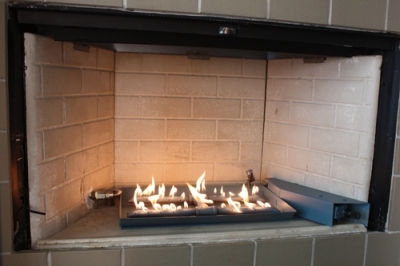 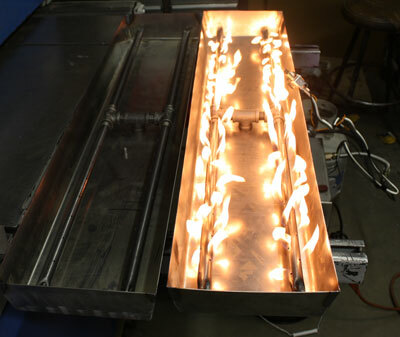 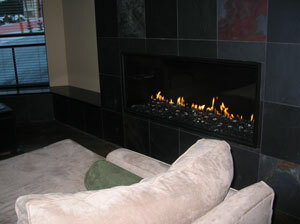 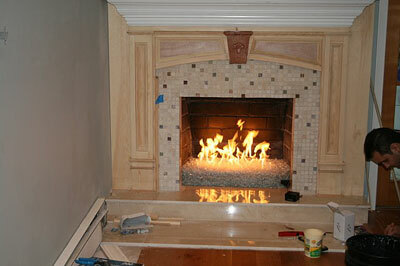 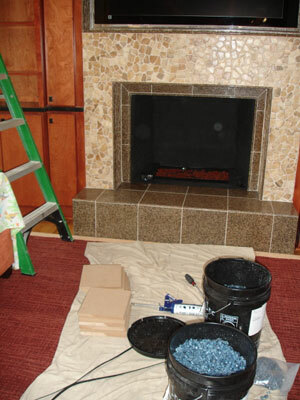 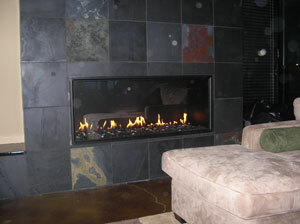 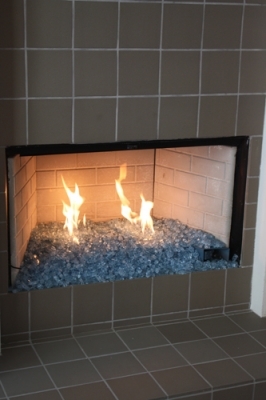 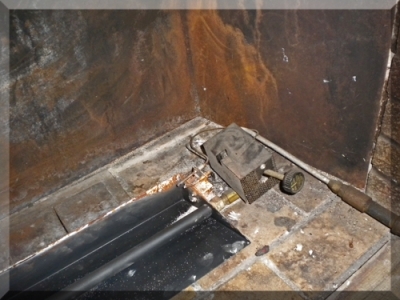 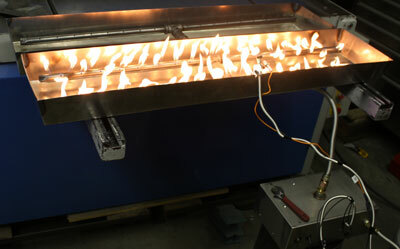 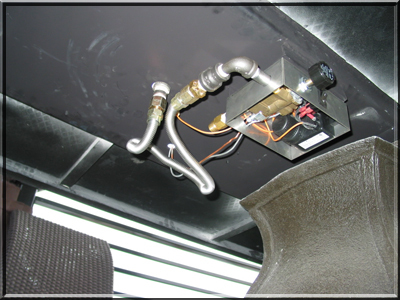 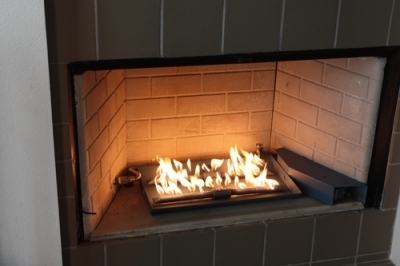 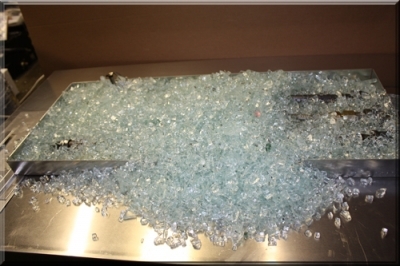 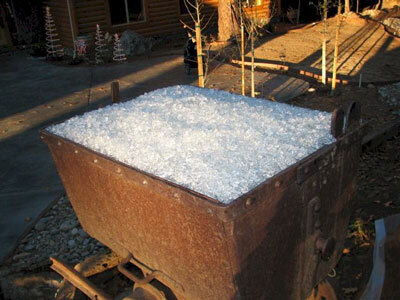 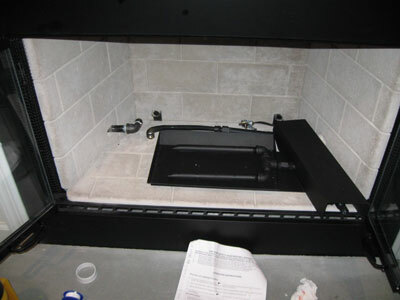 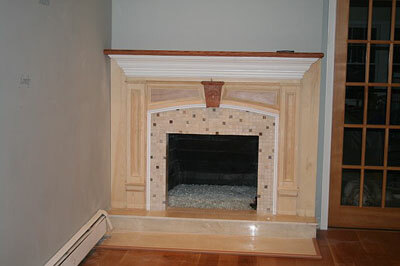 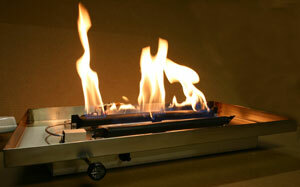 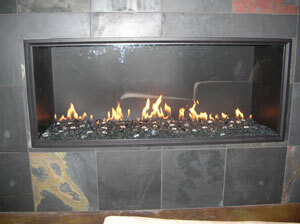 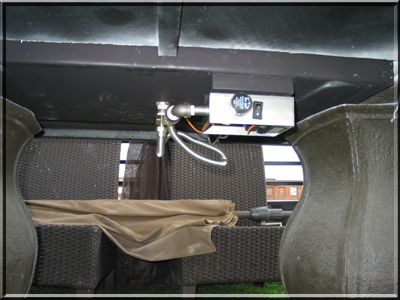 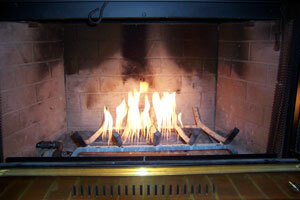 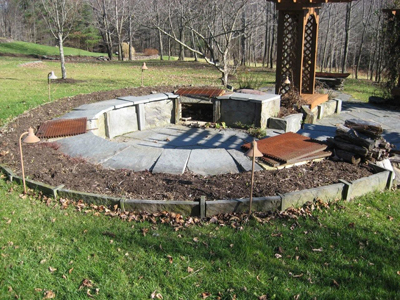 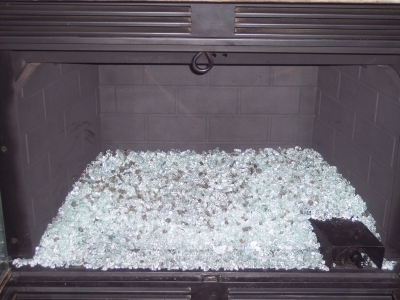 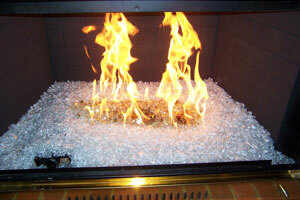 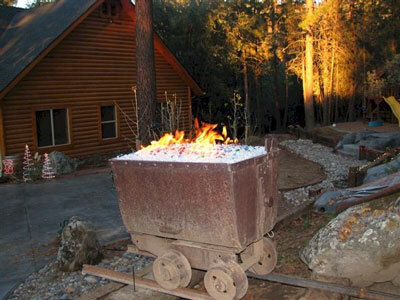 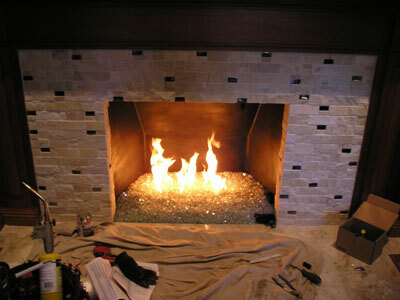 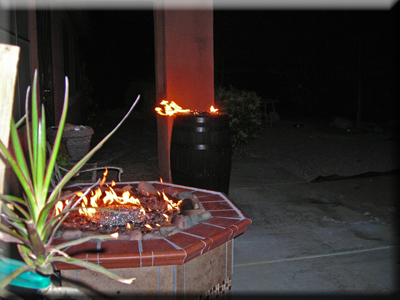 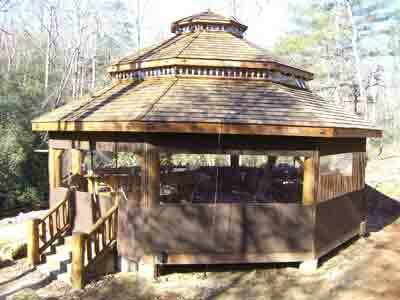 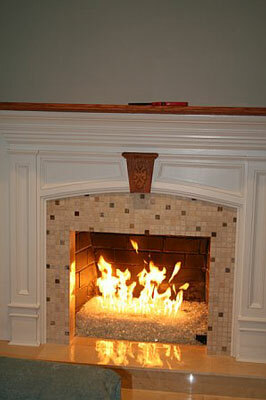 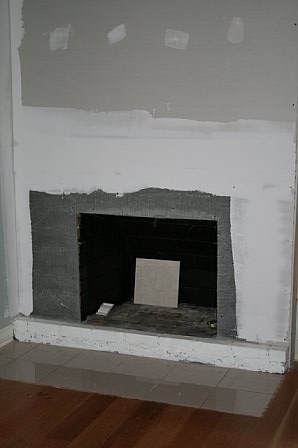 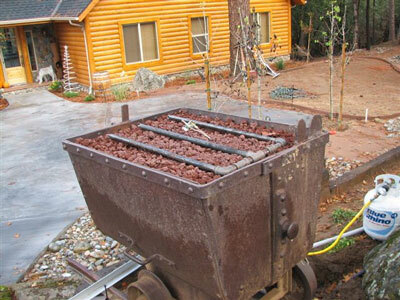 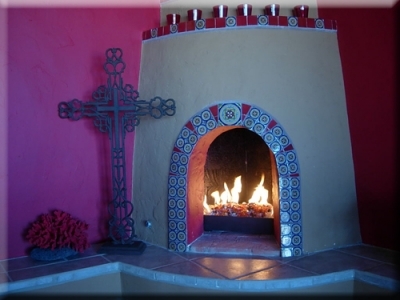 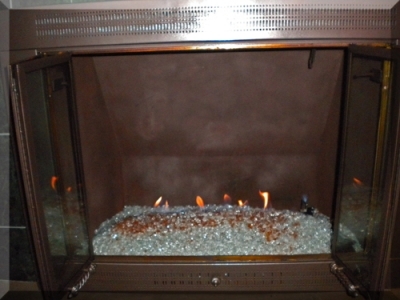 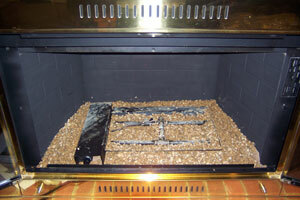 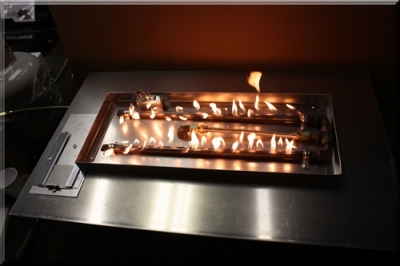 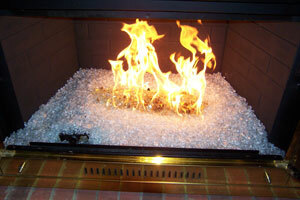 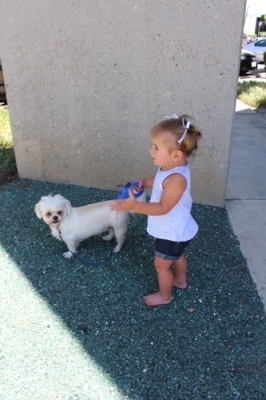 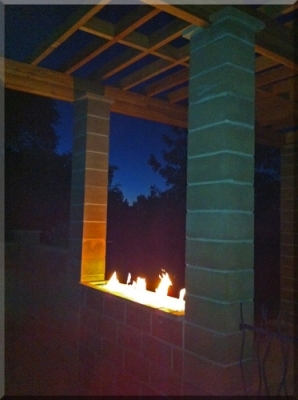 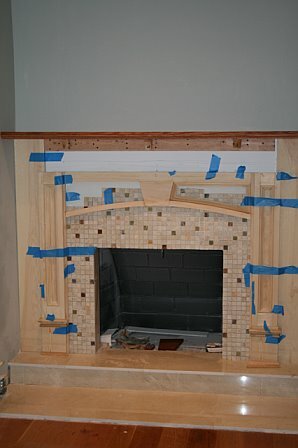 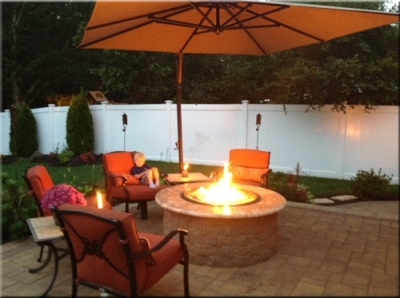 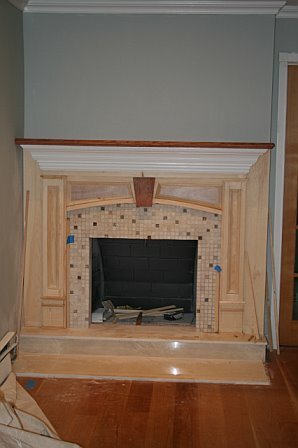 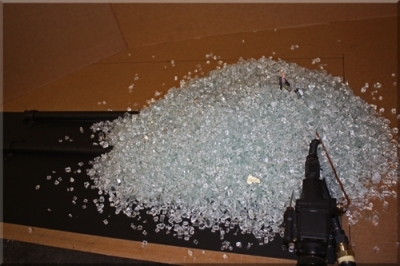 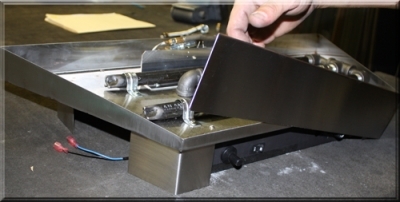 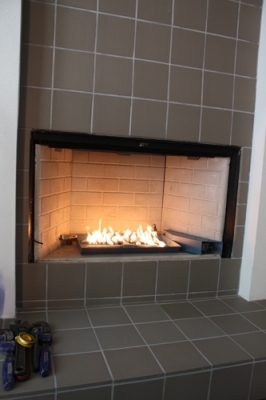 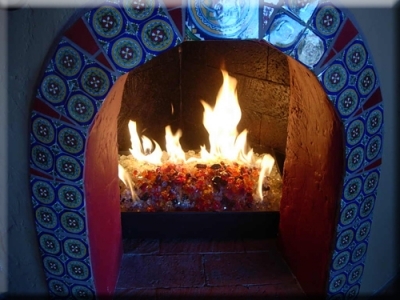 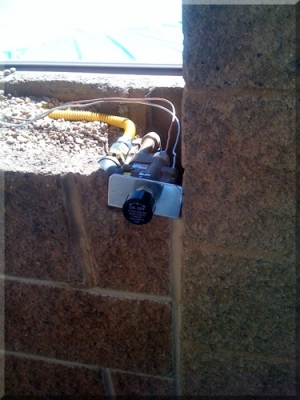 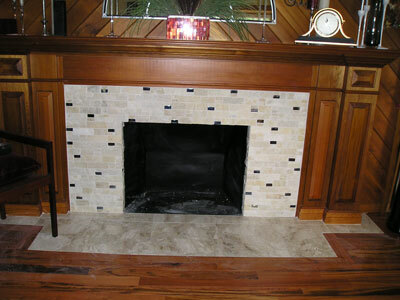 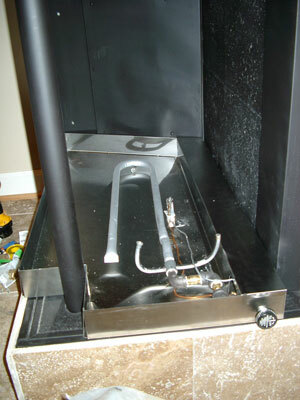 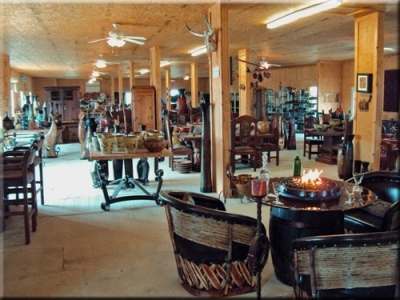 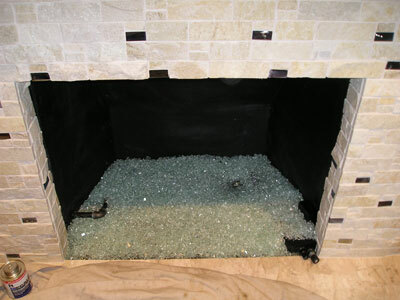 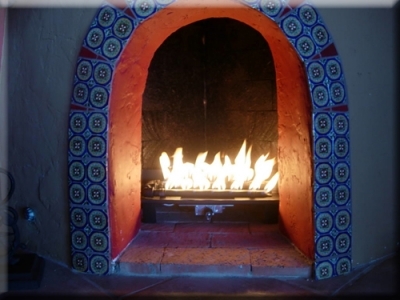 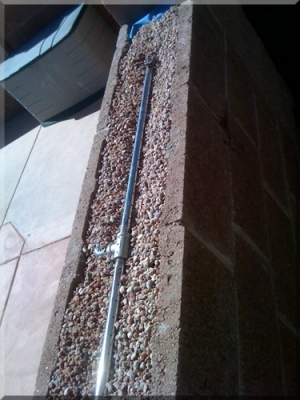 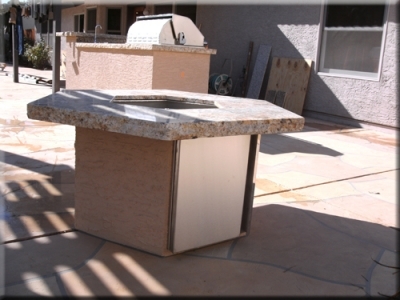 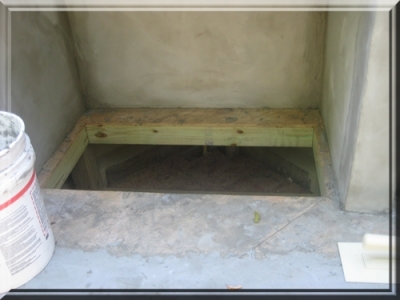 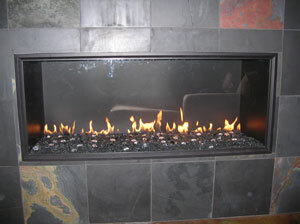 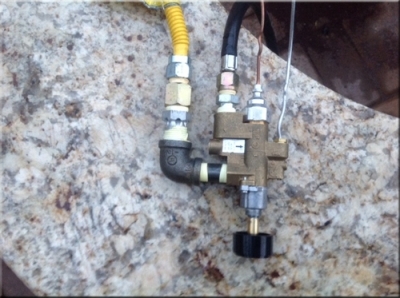 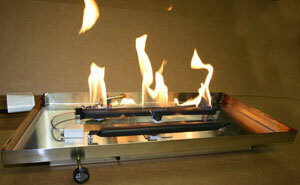 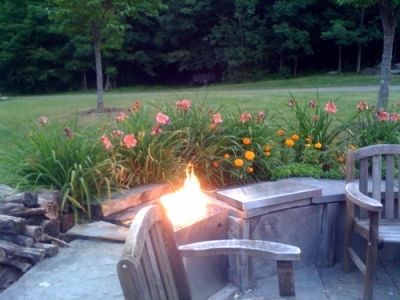 This was a propane installation with our FPPK burner (See Our General Propane Sheet). 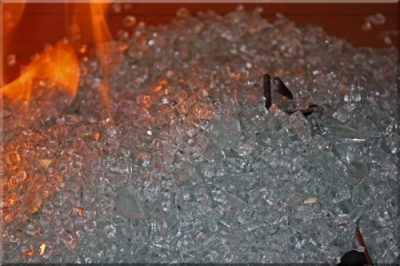 Pout the filler/ lava/ glass? 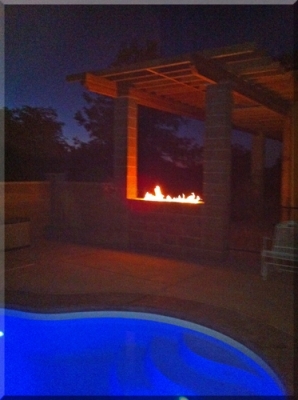 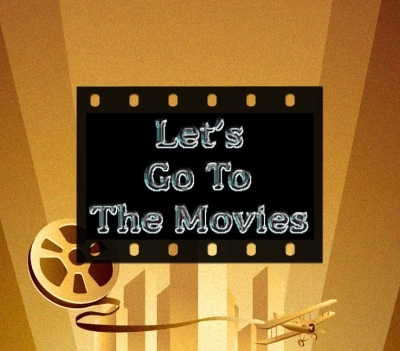 and drink beer! 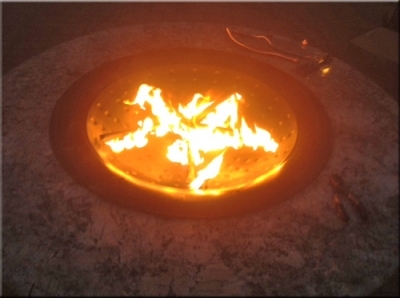 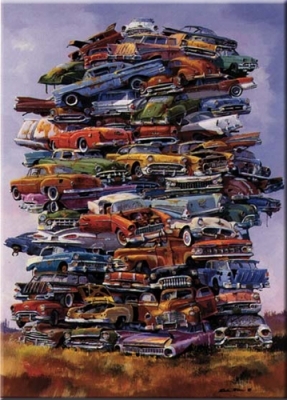 Put a fork in it, You'r done!